Click on a team member picture to go to his/her complete list of publications. Christians, Allison, BEPS and the New International Tax Order, 2016-2017 (6) B.Y.U. L. Rev 1603 (2017). Moyse, Pierre-Emmanuel and Francis Lord, eds. 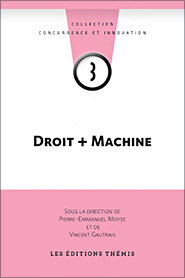 “ Competition & Innovation 5: Le Droit et la Machine (Les Éditions Thémis 2017). Cloutier, L. Martin; Détolle, A. et al, incl. Moyse, Pierre-Emmanuel. 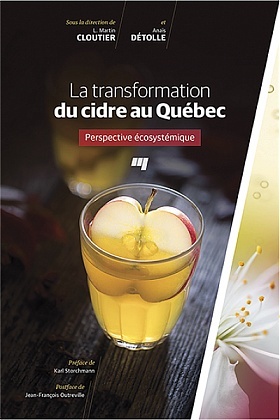 « La transformation du cidre au Québec: Perspective écosystémique. » (Les Presses de l’Université du Québec, 2017). Moyse, P.-E. « Le droit du cidre de glace au Canada », dans M. Cloutier et A. Détolle, La transformation du cidre au Québec, PUF, Montréal (2017) pp. 275-302. Christians, Allison, Spillovers and Tax Sovereignty, 85 Tax Notes Int’l 831 (27 Feb. 2017). Gold, E. Richard, “Why Women Over 40 are Having More Babies” (March 16, 2017). Gold, Richard, “NAFTA patent ruling a big victory for Canadian innovation” (April 6, 2017) The Globe and Mail. Gold, E. Richard, “The Midas Conundrum” (April 25, 2017) in Centre for International Governance Innovation Series on Innovation and Productivity. Ali-Khan, Sarah and Gold, E. Richard, “Contracting to counter gene patents – a 21st Century solution to access and innovation” (May 22, 2017), Harvard Law’s Bill of Health. Gold, E. Richard, Morin, Jean-Frédéric, Shadeed, Erica, “Does Intellectual Property Lead to Economic Growth? Insights from an Improved IP Dataset”, (forthcoming), Regulation & Governance. Gold, E. Richard, “In the Trump era, Canada can be a beacon for innovations” (November 18, 2016) The Globe and Mail. Moyse, P.-E, « Innovation: The Shadow of The Law », (2016) (WIPO discussion paper). Moyse, P.-E, « “La Confusion des Genres”: Logos and Packaging as Copyrighted Works », (2016) in I. Calboli, (dir. ), Trademark Protection and Territoriality Challenges in the Global Economy, Edgar Edgar, 478-497. Christians, Allison and Nicolas Benoît-Guay, A Qui le Droit de Taxer? Être membre d’un État et les enjeux fiscaux qui en découlent, 43 PHILOSOPHIQUES 127 (2016). 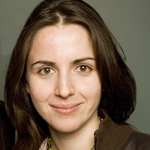 Allison Christians, Tax Avoidance in a World of Aggressive Tax States, Conference on Tax Evasion and Avoidance, Journal of Tax Administration, 6 May 2016. Gold, E. Richard, “Accelerating Translational Research through Open Science: The Neuro Experiment”, (2016) PLoS Biology. Morin, Jean-Fréderic and E. Richard Gold, “International socialization at the state and individual levels: mixed evidence from intellectual property”, (2016), Cambridge Review of International Affairs. Christians, Allison and Garofalo, Marco, “Using Tax As an Investment Promotion Tool” (2016). 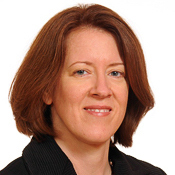 Christians, Allison, “While Parliament Sleeps: Tax Treaty Practice in Canada” (2016). 10 J. Parl. & Political L. 15 (2016). Christians, Allison, “Friends with Tax Benefits: Apple’s Cautionary Tale” (J2015). Tax Notes International, Vol. 78, No. 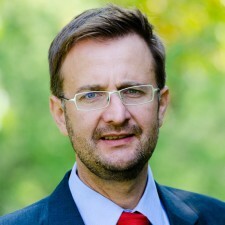 11, 2015. Moyse, Pierre-Emmanuel, « From importation to digital exhaustion: a Canadian copyright perspective », (2015) in I. Calboli, (dir. ), Trademark Protection and Territoriality Challenges in the Global Economy, Edgar Edgar. De Beer, Jeremy, Richard E. Gold & Mauricio Guaragna, « Intellectual Property Management : Policy Issues and Options » (2015). Gold, E. Richard, “Pluralist Property: The Interaction of Legal and Social Norms” (2015). 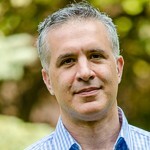 Rivoire, Maxence and E. Richard Gold, “Propriété intellectuelle, Cour Suprême du Canada et droit civil” (2015) 60:3 McGill Law Journal, 381-430. Christians, Allison and Cockfield, Arthur J., “Submission to Finance Department on Implementation of FATCA in Canada” (2014). Grant, Emily, Megan Van den Hof and E. Richard Gold, “Patent landscape analysis: A methodology in need of harmonized standards of disclosure” (2014) 39 World Patent Information, 3-10. Gold, E. Richard and Michael Shortt, “The Promise of the Patent in Canada and Around the World” (2014) 30:1 Canadian Intellectual Property Review, 35-77. Morin, Jean-Frédéric and E. Richard Gold, “An Integrated Model of Legal Transplantation: The Diffusion of Intellectual Property Law in Developing Countries” (2014) 58 International Studies Quarterly 781-79. Moyse, Pierre-Emmanuel. “‘La Confusion des Genres’: Logos and Packaging as Copyrighted Works” in Irene Calboli & Edward Lee, eds, Trademark Protection and Territoriality Challenges in the Global Economy (Cheltenham, UK: Edward Elgar, 2014). Moyse, Pierre-Emmanuel. “Abus et propriété intellectuelle ou du bon usage des droits” in Teresa Scassa, Mistrale Goudreau, Madelaine Saginur, B Courtney Doagoo, eds, Intellectual Property for the 21st Century: Multidisciplinary Perspectives on Intellectual Property Law (Toronto: Irwin Law, 2014). Piper, Tina. “Putting Copyright in its Place” (2014) Canadian Journal of Law and Society [forthcoming]. Piper, Tina. “How War Creates Commons: General McNaughton and the National Research Council, 1914-1939” in Brett Frischmann, Michael Madison and Katherine J. Strandburg, eds., Cultural Commons (Oxford: Oxford University Press, 2014). Gold, Richard, Robert Cook-Deegan & Tania Bubela. “AMP v Myriad: A Surgical Strike Against Blockbuster Business Models” (2013) 5(192) Science Translational Medicine 1. Gold, Richard. “Patents and Human Rights: A Heterodox Analysis” (2013) 41:1 J of Law, Medicine and Ethics 185. Gold, Richard, Tania Bubela, Gregory D Graff, Daniel R Cahoy, Dianne Nicol, & David Castle. “Patent Landscaping for Life Sciences Innovation: Toward Consistent and Transparent Practices” (2013) 31 Nature Biotechnology 202. Gold, Richard & Dianne Nicol. “Beyond Open Source: Patents, Biobanks and Sharing” in Giovanni Pascuzzi, Umberto Izzo & Matteo Macilotti, eds, Comparative Issues in the Governance of Research Biobanks (New York: Springer, 2013) 191. Lametti, David. “Laying Bare an Ethical Thread: From IP to Property to Private Law?” in S Balganesh, ed, Intellectual Property and the Common Law (Cambridge: Cambridge University Press, 2013) 353. Lametti, David. “The Concept of the Anticommons: Useful, or Ubiquitous and Unnecessary?” in H Howe & J Griffiths, eds, Concepts of Property in Intellectual Property Law (Cambridge: Cambridge University Press, 2013) 232. Moyse, Pierre-Emmanuel & Francis Lord, “Principes et justifications de la propriété intellectuelle” Fascicule 1 du Jurisclasseur Québec: Propriété Intellectuelle (Montréal: LexisNexis, 2013). Moyse, Pierre-Emmanuel. “Droits moraux”, Fascicule 7 du Jurisclasseur Québec: Propriété Intellectuelle (Montréal: LexisNexis, 2013). Lametti, David. “Prescription à la recherche du temps: In Search of Past Time (or Recognizing Things Past)” in M-F Bureau & M Dévinat, eds, Les livres du Code Civil du Québec (RDUS, 2012). Lametti, David. “The Cloud: Boundless Digital Potential or Enclosure 3.0?” (2012) 17 Virginia Journal of Law & Technology 190. Lametti, David. “The Virtuous P(eer): Reflections on the Ethics of File Sharing” in Annabelle Lever, ed, New Frontiers in the Philosophy of Intellectual Property (Cambridge: Cambridge University Press, 2012) 284. Cloutier, L. Martin; Détolle, A. et al, incl. Moyse, Pierre-Emmanuel. (Les Presses de l’Université du Québec, 2017). 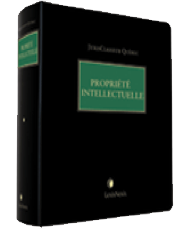 Composed of 30 modules—each treating a particular area of IP law—the JurisClasseur Québec – Propriété intellectuelle regroups expert contributions in five sections treating intellectual property rights, literary and artistic property, industrial drawings, trademarks and patents. 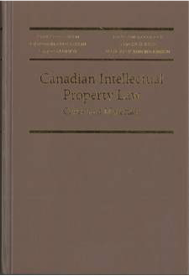 Together, the authors paint a detailed picture of Canadian intellectual property law. 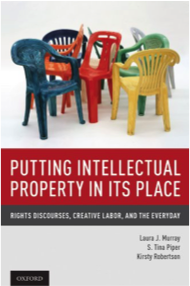 Putting Intellectual Property in its Place examines the relationship between creativity and intellectual property law on the premise that, despite concentrated critical attention devoted to IP law from academic, policy and activist quarters, its role as a determinant of creative activity is overstated. The effects of IP rights or law are usually more unpredictable, non-linear, or illusory than is often presumed. This collective work by six Canadian intellectual property scholars covers the core areas of IP law including copyright, patents, trade-marks, industrial designs, passing off, and confidentiality. The underlying purpose of this casebook is to not only to analyze the fundamentals of Canadian IP law, but also to prepare students to engage in debates of policy and principle. This content has been updated on January 18, 2018 at 8:53.